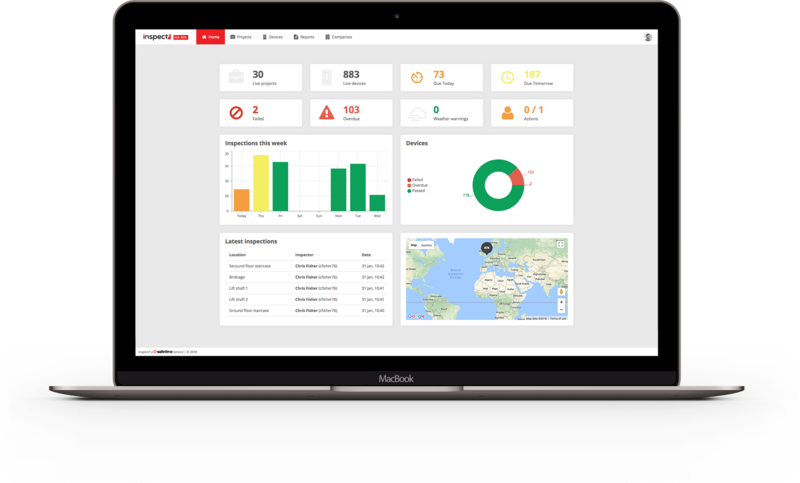 Inspect7® is a digital solution that is revolutionising scaffold inspections in the construction industry. We make sure your weekly scaffolding inspections are carried out efficiently, competently and on time. First of all, the Inspect7® device is an electronic scaffolding inspection device, which has been designed with collaboration in mind, ensuring everyone has access to the latest inspection information. This critical information is then clearly displayed on the Inspect7® device, which is ﬁxed to the scaﬀold/temporary works. 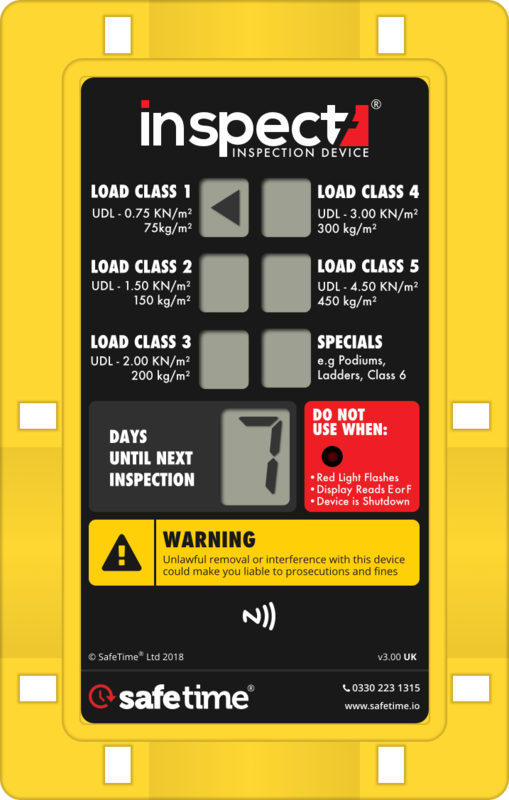 The Inspect7® device displays a visual indication, notifying the user how many days until the next inspection. As a result, safety is always maintained. 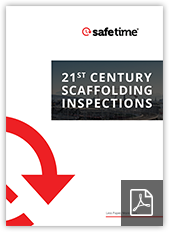 It is a legal requirement that scaffold inspections are carried out every 7 days and the inspection device makes it even easier to make sure this happens. 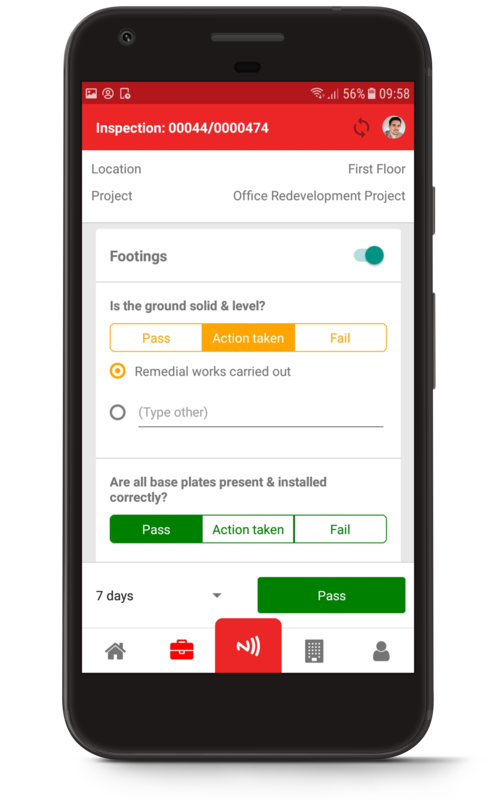 Users of Inspect7® can finally say goodbye to pen and paper and carry out their scaffold inspections using our bespoke inspection app. The scaffold inspection app has been designed with innovation in mind, to create a simple and efficient inspection process. The app implements the latest technology, such as NFC (Near Field Communication) and cloud-based integration, to create an effortless solution to the current and outdated method of carrying out inspections. When scanning an Inspect7® device for its weekly inspection, the app provides the user with a simple inspection checklist, including drop-downs and comment boxes that can be filled out easily. By using an Andriod based smartphone or tablet with NFC and the Inspect7® scaffold inspection app, inspectors can carry out efficient inspections of the scaffold. Within seconds the inspection information can be accessed by anyone associated with the project online. The Inspect7® cloud-based portal (accessed from your web browser) then allows users to view or download full inspection information. As a result, Inspect7® can be used as an effective scaffold management tool by the user. By using a cloud-based system there is no need to install/upgrade software. This approach also allows access from any PC with internet connectivity and a web browser installed. Once you have purchased a box of Inspect7® devices, all you need to get going is an Android Device with NFC (Near Field Communication). NFC is used in the new ‘contact-less payment’ technology seen on most credit cards, therefore care must be taken when selecting a device. safetime® have tested dozens of devices but highly recommends the Wiley Fox Swift 2. These handsets are very reasonably priced, with great features and performance. safetime® Brochure – Everything you need to know!